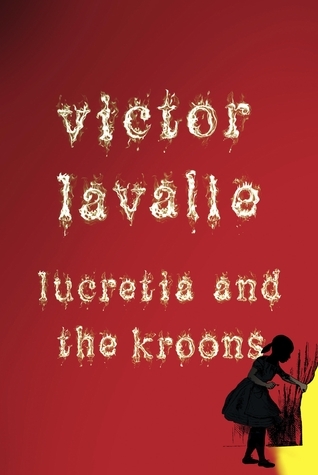 Lucretia and the Kroons is the story of twelve year-old Lucretia (Loochie) dealing with her best friend Sunny dying. It also features under-age smoking, zombies and flying rats. Even though this novella is quite enjoyable, it just doesn’t work for me. I don’t see for what audience Lucretia and the Kroons is written. I wouldn’t let my kid read this: at one point Loochie exclaims “Thank God for cigarettes!”. At no point in the story it is even remotely made clear that smoking is unhealthy and that it kills people. Who advocates smoking in a children’s book? On the other hand, it doesn’t seem written for adults either. 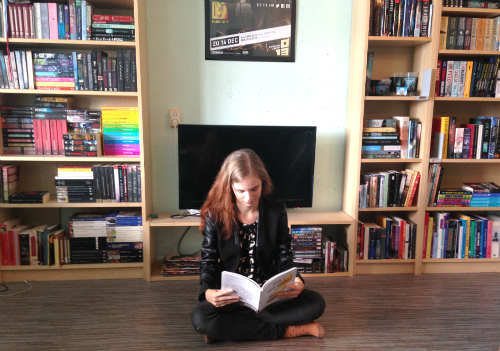 The writing is terribly stilted and simplistic: “Alice grunted with the exertion but she made it. All the way across. Where Sunny crouched.” (at about 69%). This would have been excusable had the novella been written from the viewpoint of Loochie, but it isn’t. There is absolutely no reason to simplify your language when you’re talking about children. Because Lucretia and the Kroons seemed to have no purpose, I wasn’t gripped by the story and didn’t very much care about Loochie’s perils. If you get killed by some hallucination you got from getting stoned while you’re twelve, well, I’m not sure I care that much. This paragraph contains spoilers for the ending. Highlight to read it. I found the ending extremely unrealistic and it bugged me to no end. I’m not talking about the fact that there is “proof” everything really happened. I’m talking about Loochie’s mom committing her to a mental hospital just because she had one hallucination. What the hell? Who does that? Couldn’t she just say, “Oh hun, I’m sure you fell asleep and you lost my wig some other time”. She’s just a kid! Kids do weird stuff and think they see weird stuff all the time. She’s not bipolar. Hallucinating isn’t even the main symptom of bipolarity, having manic and depressed episodes is. Gah. The ending drags the whole novella down. I wouldn’t know who to recommend this to. You could pick it up if you’re bored and you’re looking for some zombie action? Or maybe this novella is meant to “push boundaries” and be “groundbreaking”, which I don’t see personally, but maybe you will. Lucretia’s best friend and upstairs neighbor Sunny—a sweet pitbull of a kid, even as she struggles with a mysterious illness—has gone missing. The only way to get her back is for Lucretia to climb the rickety fire escape of their Queens tenement and crawl through the window of apartment 6D, portal to a vast shadowland of missing kids ruled by a nightmarish family of mutants whose designs on the children are unknown. Her search for Sunny takes Lucretia through a dark fantasyland where she finds lush forests growing from concrete, pigeon-winged rodents, and haunted playgrounds. Her quest ultimately forces her to confront the most frightening specter of all: losing, forever, the thing you love the most.